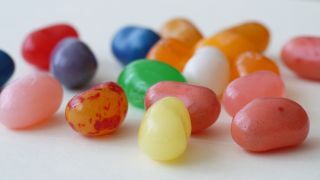 The Jelly Bean build of Google's Android platform is finally making its way to devices. According to Google's Android Developers Dashboard, versions 4.1 and 4.2 now account for 13% of Android-powered devices. This figure is up from 6.7% in December of last year, a doubling of installs in the last 60-days. This sharp increase is attributable to several high profile devices receiving the Jelly Bean update over Christmas, including the Samsung Galaxy S3. Google first announced Jelly Build back in June of 2012, alongside the Nexus 7 tablet. The upgrade included major performance enhancements and the new Google Now predictive search tool. The largest fragment of the Android pie still belongs to Gingerbread, with 45% of devices still running version 2.3. This number is shrinking though, down 9% since November.